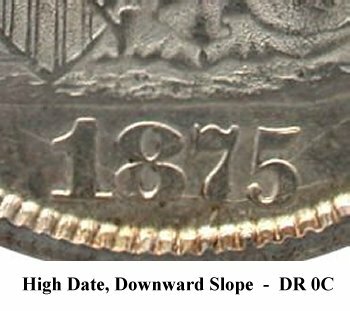 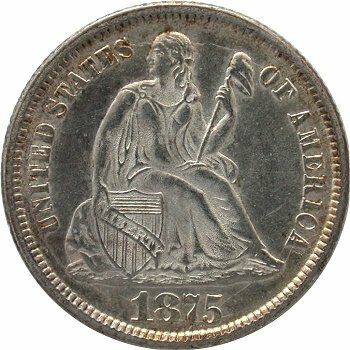 Comments: Obverse 9 is rusted but not as excessively as Obverse 3 within Variety 103. 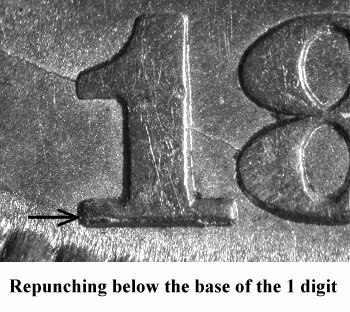 The 1 digit shows repunching beneath the base. 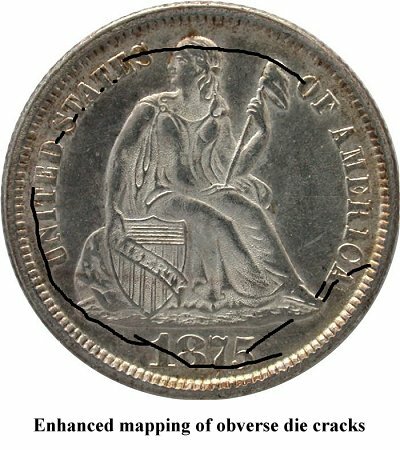 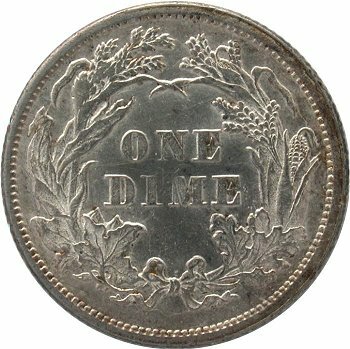 There is significant die cracking on both obverse and reverse dies. 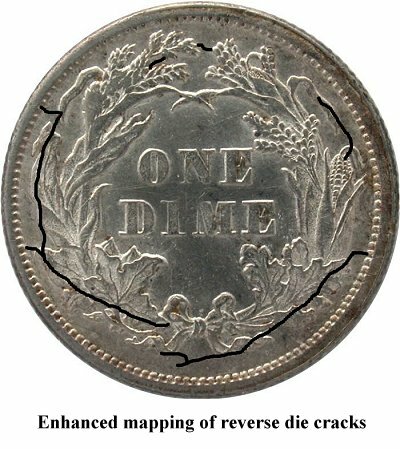 See the enhanced mappings above.